Lifestyle-Changing Boat Gear El Nino, Hurricanes, and Derechos, oh my! If you consider the numbers of people who are outdoors swimming, boating, and shooting off fireworks over any Fourth of July holiday, bad news is bound to happen. But, nothing can prepare a family for a child’s death. Four children died in two separate electrocution incidents last week, two in Missouri and two in Tennessee. This is a harsh reminder that you may need to check a few wiring issues in your boats and on your docks to comply with safety requirements and to make sure your family and friends are safe. In marine environments that offer salt, fuel, ultraviolet radiation, strain, abrasion, and overloading, electrical systems cannot last as long as indoor wiring. As little as 110 volts, or 1/10 of an ampere can kill someone. A short circuit can generate over a thousand degrees of heat, enough to ignite wood, fiberglass, or other boat and dock materials. It is up to you to comply with the USCG to avoid an electrocution or fire incident caused by faulty or defective wiring. Use only marine shore power cords capable of handling your boat’s power load, and that are labeled “UL-Marine.” Sets for boats under 40 feet include 20-ampere, 125 volt; 30 ampere, 125 volt; and 50 ampere, 125 volt. 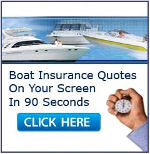 Use the set appropriate for your boat. If you use a 30-amp set for a 50-amp system, that less powerful set will fail over time from overheating. Use marine service plugs and connectors, and don’t make the mistake of using regular outdoor extension cords. 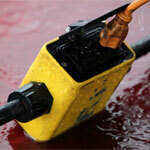 Marine shore power cords are designed to take the abuse offered in water-based environments. Still, you should check that cord regularly to make sure it is free of knots and frayed areas. Don’t tape the areas — replace damaged or deteriorated extension cords immediately. Keep all cords out of the water. 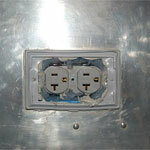 If you have a 110-volt system, install Ground Fault Circuit Interrupters (GFCIs) on all outlets on your boat. These tools interrupt electrical flow when a ground fault is far below the lethal zone. 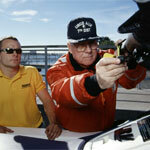 If you use a 110-volt generator on board, monitor that electrical system for deterioration. The generator usually is located in the engine room, where marine elements can damage and corrode components without your notice. If you suspect an electrical problem on your boat and you don’t feel comfortable with correcting the issues, hire a professional. You could save a life. Boat docks also need to use GFCI systems on their outlets — but, the problem is that many dock owners do not use those safety measures. That was the case in the fatalities that occurred in Missouri. Again, when the power was cut to the dock near where those children were swimming, the electrical current also ceased. According to Lake News Online, no safety inspections or regulations exist for Missouri lake docks that were permitted before 2006. In 2006, the Missouri power company, Ameren Missouri, in partnership with some lake area fire districts, began requiring electrical inspections before a permit was issued for new construction. Before 2006, no rules or regulations were on the books to ensure the public’s safety when it came to wiring on private residential docks in that area. The responsibility fell primarily to the property owners. That means that any dock built before 2006 may not be safe to use in that region, unless the owner has taken on the responsibility and asked for a courtesy inspection from local fire protection districts. You may or may not receive a courtesy check for your personal dock from your local authorities; however, we suggest that you check with them and your state and local regulations to learn how you can abide with electrical safety guidelines. 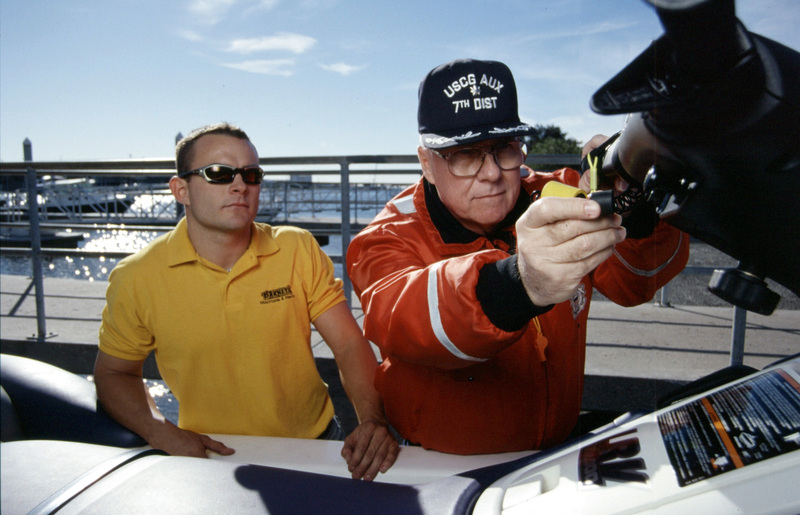 As a boat owner, you must comply with USCG regulations and the Coast Guard, through its auxiliary and working with United States Power Squadrons, performs Vessel Safety Checks (VSC) on recreational boaters — including PWCs — throughout the country. A Vessel Safety Check is completely voluntary and is done as a courtesy for boaters in order to verify all safety equipment is on board and in good working condition, including electrical units. Marine electrical regulations in 46 CFR Subchapter J provide for the specifications, standards, and requirements for electrical equipment and systems aboard vessels, including cabling, lighting, grounding, and hazardous locations. These regulations contain a number of approved standards incorporated by reference. If you have any questions regarding your responsibilities and your boat insurance, contact United Marine Underwriters now, before you experience an electrical catastrophe.